Northwest Georgia's best solution for moving nuisance wildlife. Let our Certified Professional Teams help you!! Goose Moovers provides safe, effective, and affordable Canada geese management on your property. We use highly trained and skilled Border Collies to haze or harass the flocks of geese into leaving your property to find more peaceful places to feed, nest, and raise their young. 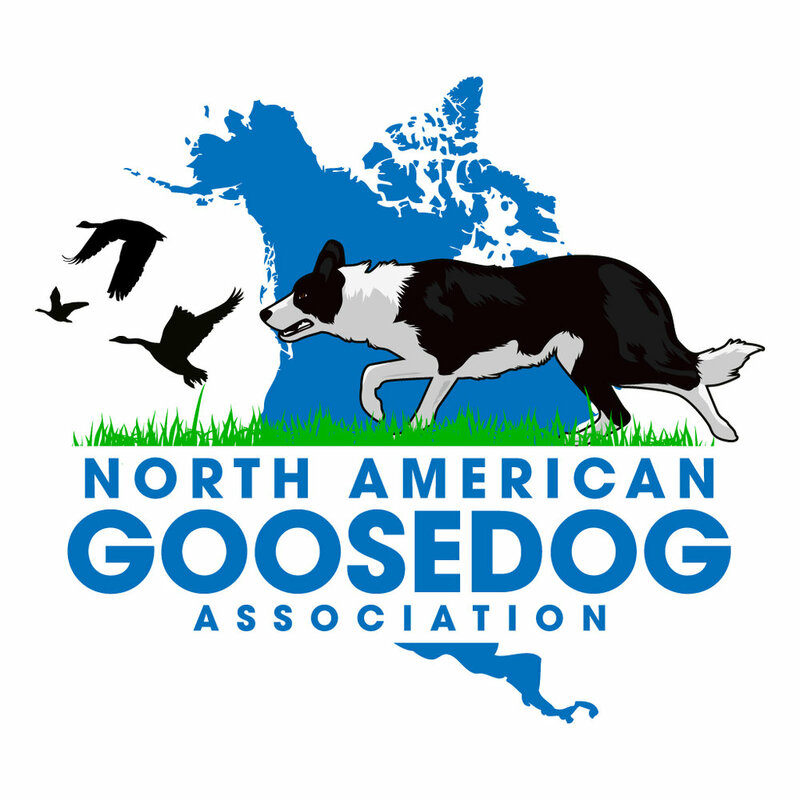 All of our Border Collies have completed a Goosedog training program and are certified by the North American Goosedog Association. This certification assures the job will be done effectively and without harm to birds or bystanders. Cyndy Douan, MHDL, PDTI is an IACP Hall of Fame Member, world ranked sport dog competitor, and has been training dogs professionally for 27 years. Her Certified Goosedogs have traveled the country performing with her and are well suited as ambassadors to help introduce this new service to your staff and visitors to your property. Goose Moovers will visit you first on your property, evaluate your wildlife control needs, and allow you to meet our Border Collies and see them in action. Based on the evaluation, as well as your goals for decreasing nuisance wildlife on your property, Goose Moovers will tailor a plan and a price quote for you. Where are goose control dogs used? It may surprise you, but Border Collies have provided effective Goose Control and other wildlife management for nearly 20 years now. 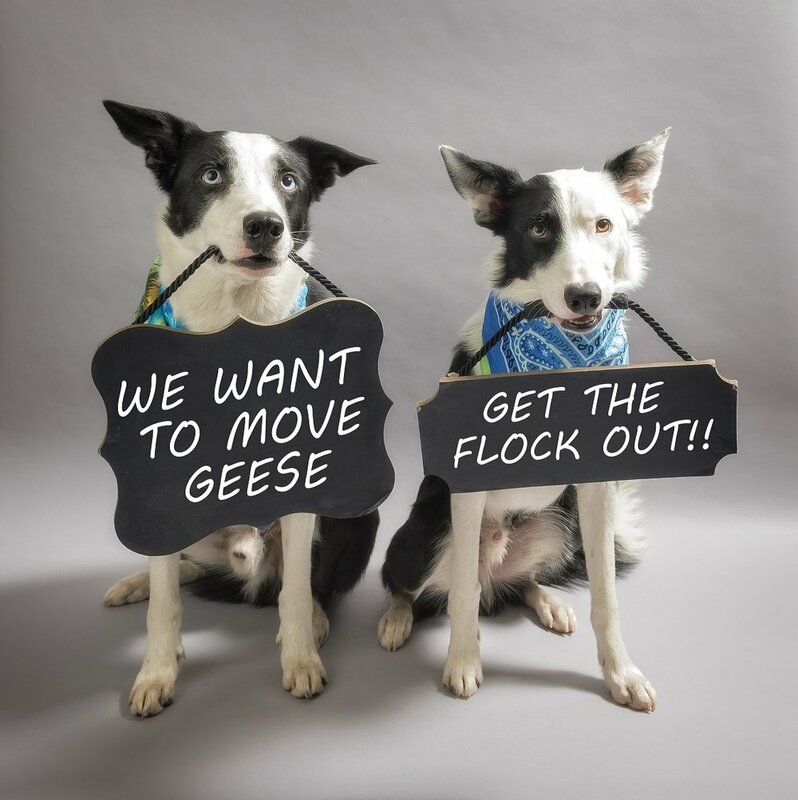 Border Collies have been used in almost every circumstance you might think of where there are flocks of Canada Geese or other birds causing problems and hazards. Places Border Collie Goose Dogs are used include airports, parks, golf courses, school yards, colleges/universities, corporate parks, apartment/condominium complexes, subdivisions, and military bases. Download a Study on the Reduction of Bird Strikes at Airports after utilizing Border Collies to Haze Birds. This study was presented at the Ninth Wildlife Damage Management Conference. Click Here. This dog food commercial features dogs trained to do bird control. "Betty" graduated from Georgia Dog Gym's Basic Training Class before she went on to train for this specialized work. Border Collies are now the fastest-growing and most popular form of bird control on golf courses and other venues across the country. The reasons for this are numerous but the primary rationale is that they are highly intelligent, adaptable and intense working dogs that are able to cope with most species of bird and larger wildlife in all but the worst of environments and circumstances. Course directors and communities are discovering the true advantages of putting a herding dog to the task of harassing geese and a wide variety of other species, with a small investment of finances and initial handler training. There is no habituation problem with Border Collies on wild bird populations. Border Collies can not only continuously pursue the bird populations but they pose an actual, not perceived, threat to the wildlife. Border Collies can work in almost all weather conditions and can travel over all forms of terrain, including following waterfowl into marshes or open water. Border Collies can be used to control both bird and wildlife (e.g. deer) populations. Border Collies can work for hours upon end. They have been bred to herd sheep over hill and dale on the moors of Scotland and Wales and this endurance translates well to other working habitats. Border Collies are intelligent creatures and can learn from various situations and adapt to changing circumstances as required. Border Collies have the instinct to herd animals but have been bred to avoid "going in for the kill". Since they do not harm the birds being harassed, they can be used to deter protected species of bird and wildlife. For this reason, in some states, they are the only acceptable means of deterring protected species. Border Collies are silent workers and rely on visual threats to wildlife in their deterrence. This means that they can still be effective in very noisy environments such as airfields or can work without disturbing people in the area, such as golfers on a golf course. A single handler and Border Collie can cover a large area of territory. The dogs can be directed on command to change directions, lie down, approach the birds, back away, continue searching, or to quit working without the handler ever having to change position. Border Collies trained for bird control come with a set of standard verbal and whistle commands that can be learned quickly, facilitating the easy initial training of a handler or the transfer to a new handler. Border Collies can also work at night on airfields to remove deer. With a predator's vision and sense of smell, the dogs are capable of detecting deer in dimly lit environments. The main limitation in harassing deer at night with a Border Collie is the handler's vision, true of most other forms of control. Border Collies can be precisely directed, enabling directional dispersals of birds or wildlife. This avoids the tendency of birds, for example, to scatter and then to regroup in an area just behind their initial staging area. Border Collies can be used to deter almost all forms of wildlife, including flocks of smaller sized birds such as gulls or blackbirds. Border Collies have a lifespan of approximately 14-15 years. The dogs are capable of working as early as 1 year of age and can generally continue working until they are 11-12 years old.